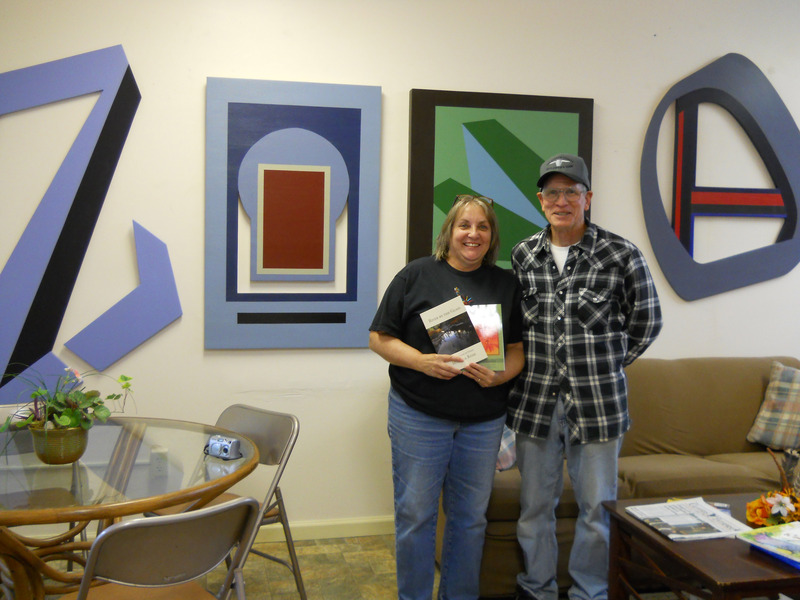 Art Show Reception with Gary Rose and Ekphrasis (writing about art) workshop with Monika Rose. 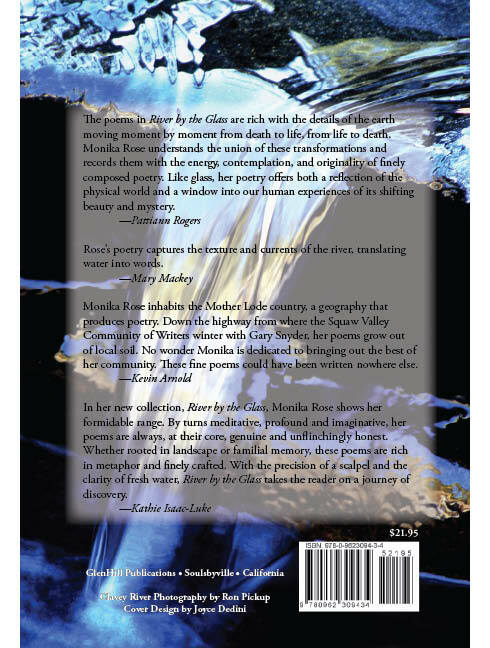 Monika’s poetry is an alchemy of earth, soul, and sensuality. She easily captures the essence of life in simple lines that make you stop and reconsider what you thought you knew. Lucy, your words are inspiring. I will write a poem for you! Dear Monika, I loved having lunch with you and talking with you at the FOTL meeting yesterday. You were so inspiring and encouraging , talking about poetry and writing. I came home and tried a couple little poems. This morning, however, I started thinking of something when I woke up very early and had to get up and write it down. It’s not ready ready to send to you, but I will keep working on it. I want to put together a book of my late husband’s sketches of birds and other things, and now I want to add poetry or prose to it. I’m so excited. 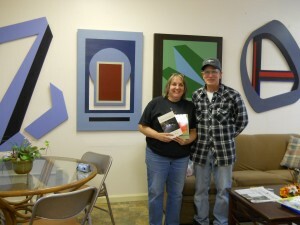 Lois, what a wonderful project you are doing with your husband’s sketches and now, poems and prose to add to it. The main thing is the enjoyment in putting something that special together. Yes, do keep working on the poem. Don’t put it aside, but have it visible so it doesn’t grow cold. I loved the luncheon and speaking to so many bright and energetic members of your group. The Friends of the LIbrary is a vibrant group! 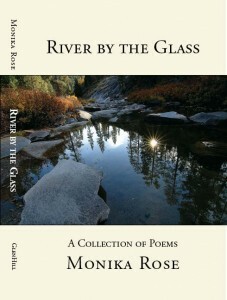 Monika Rose writes of life as a river, ever moving, ever changing as one travels upon it. 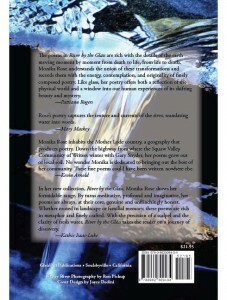 Her poems speak of nature, of human emotion, birth and death. 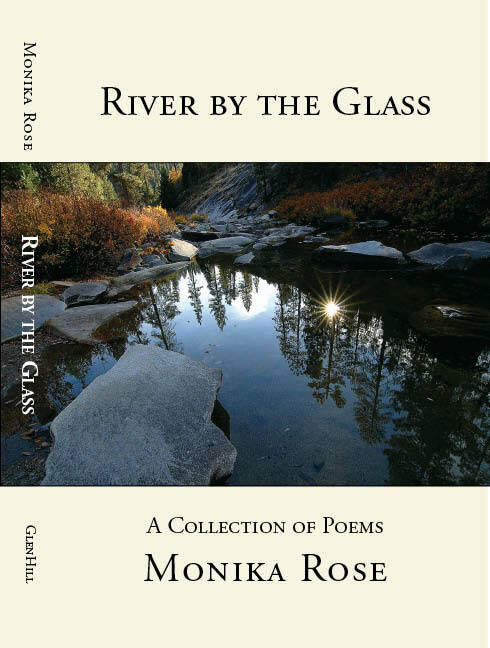 Her humor sparkles like the sunlight in the shallows as it reveals the smooth, golden river rocks beneath the surface, and the mood of her writing changes as one enters the turbulence of the rapids, the depths of despair and the stillness of grief. 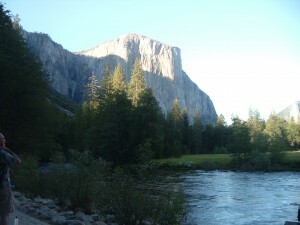 This is a lovely work with beautiful photography, one you will surely enjoy.